RBN Web Desk: AR Rahman had won it for the song Jai Ho in Slumdog Millionaire in 2009. But it was a British production directed by Danny Boyle. Now, a regional film from India could be all set for an encore in the best original song category at the 2018 Academy Awards. Two songs from the Malayalam film Pulimurugan have been longlisted for Oscar nomination by the Academy of Motion Picture Arts and Sciences (AMPAS). The list contains 70 songs eligible for final nomination. AMPAS recently published the list which features ‘Maanathe Maarikurumbe’ and ‘Kaadanayum Kaalchilambe’ from Pulimurugan. These are the only two Indian songs to be included in the list and hence a major achievement for the makers of the film. Both the songs have been composed by Gopi Sundar. 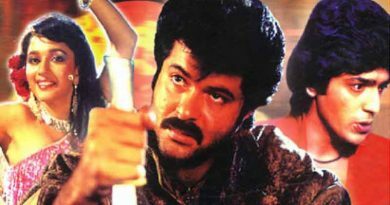 But what has come as a delight to Bengalis, is that Kolkata-born actress Kamalinee Mukherjee plays the female lead in Pulimurugan and appears in the song Kaadanayum Kaalchilambe, which has been sung by KS Chitra and KJ Yesudas. Kamalinee is a leading actress in the south and appears mostly in Telugu, Tamil, and Malayalam films. She played the female lead in director Aniruddha Roy Chowdhury’s 2012 Bengali film Aparajita Tumi. She made her debut in the 2004 Bollywood film Phir Milenge, directed by Revathi. Pulimurugan, directed by Vysakh, is an action-adventure film and stars Mohanlal in the title role. It has been a major blockbuster and smashed several box office records. Earlier, Roktokorobi, made it to the first list of the 2018 Academy Awards, by virtue of being released in English as Red Oliender, in Los Angeles. All English films in 35mm or 70mm format that have a theatrical release in Los Angeles, automatically become eligible to be considered for the Oscars in the best feature film category. Roktokorobi is directed by Amitabh Bhattacharjee. The 2018 Academy Awards will be presented on 4 March at Los Angeles, California. 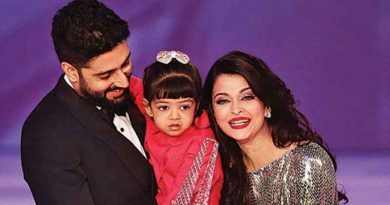 ← Aishwarya Rai Bachchan and Shweta Nanda: All’s Not Well?